In West Virginia folklore has it that there is a beast, half man half moth, the sight of which is said to lead to insanity and in some cases - death. Why some folks even claim sightings of the Mothman coincide with disasters, but we don't know for sure. 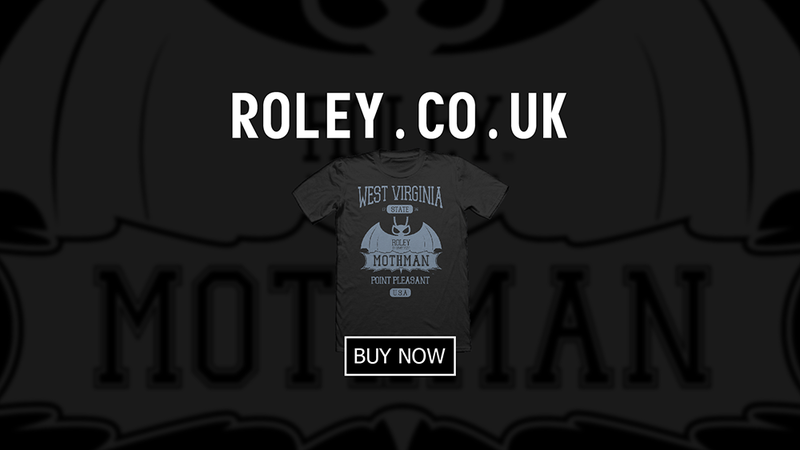 The only thing we can say for sure is that no one who wears the Roley West Virginia Mothman t-shirt has been killed by the Mothman...so far.